SKG is a member of the BSCAA, Building Service Contractors Association of Australia, and has been for several years. The BSCAA holds an award evening for cleaning companies, cleaning suppliers and sponsors. During our time as members, SKG’s Cleaning Services have been nominated for awards for Excellence in Maintenance Cleaning of Commercial site. SKG Cleaning Services won the ‘Cleaner of the Year - Industrial Site’ industry award for 2014. Our staff also recieved multiple awards in the same year. We put our customer needs and concerns first. We exist to satisfy them, and that’s our methodology. BSCAA industry award criteria includes a significant component that is based on client feedback. SKG provides an extensive range of industrial cleaning solutions that are catered to handle every aspect of industrial plant & industrial equipment cleaning. Taking into consideration that every industrial site has its specific cleaning challenges, we tailor make cleaning solution packages to suit set specifications. We ensure that the most efficient & environmentally friendly methods are used at all times. Our proficiency is second to none. 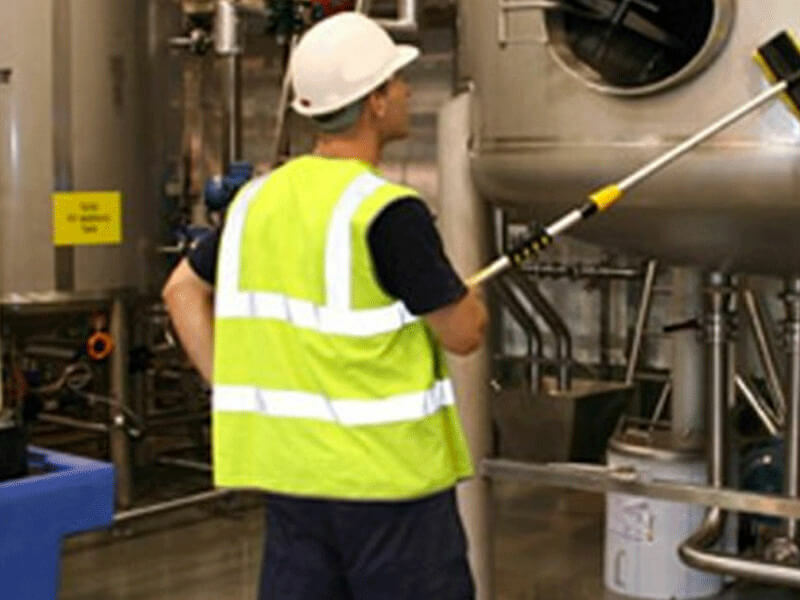 SKG offers various solutions that tend to be highly utilised by industrial cleaning customers. Essentially, we have been in this game long enough to have encountered most situations and solved them. The cleanliness of your workspace not only directly contributes to the reduction of accidents but also to the identification of hazards (avoiding future accidents and issues). Importantly, it also generates an ethos of care and diligence in your staff: when they see you care about them and their workspace, they are more likely to do the same. SKG is a family-owned business, committed to the highest standards. We have consistently proven to provide consistent, reliable results. SKG will wherever possible, and within the financial framework that you set, strive for environmental excellence. We won’t pretend that this goal is easy in the industrial context, however we do make a sincere effort and you can have peace of mind knowing that this is the case. We will help you to be as “clean and green” as possible. A clean, safe environment is important in any workplace but it is especially important in an industrial one. The WHS challenges that face the modern employer are significant, again, this is especially true for industrial spaces.